Off To the Races ! 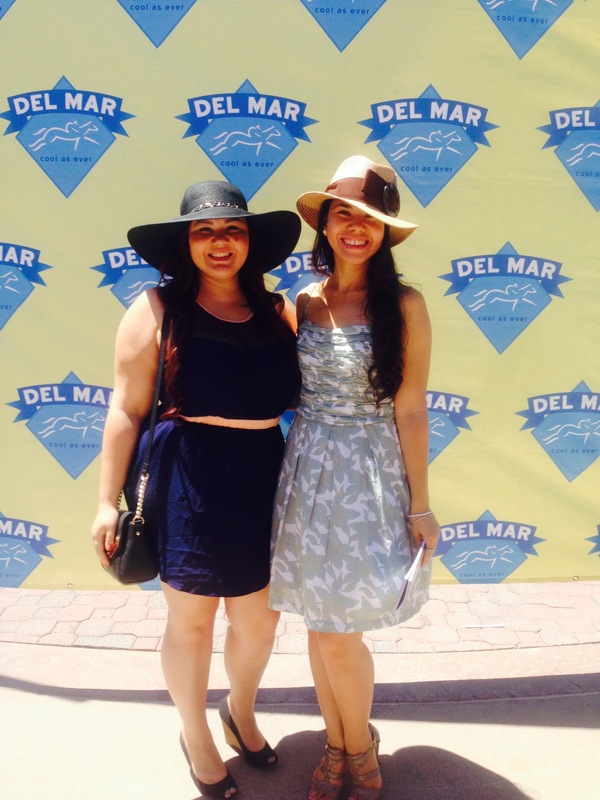 I attended my first Opening Day Celebration this year where the “Turf meets the Surf at old Del Mar! ” The more I thought about it , the more outlandish it seemed to me that I never made it out to the races being a native San Diegan and all. Everyone knows that this is like THE summer event of the season. Anyone who’s anyone is like there…. Okay, that’s cool but I just wanted to see the hats! What piqued my interest in this event actually, was a hat! My hat, in fact. I finally bought a custom made hat from Fleur de Paris in the French Quarter on my last trip to New Orleans. During my first and second trip to New Orleans, I “oohed” and “ahhhed” at the beautifully hand crafted works of art on display in this ultra chic boutique. I was a starving college student then (yeah, I know obviously not that starving if I’m taking a trip somewhere) and I said to my favorite travel partner, “One day I’m going to get to wear one of these pretty hats!” And so I did. Now that I spent my life savings (at the time, it was pretty close) on this hat, I needed a place to show it off! So naturally I thought of the Fabulous Hats Contest on Opening Day! I figured we could just buy seats when we got there… to the most popular event of the summer…that sells out every year. Yeah, this should have been a given. Another given. Although, this doesn’t pertain to me. My heels were cute and comfy, and I have a knack for staying in heels for long periods of time. My sister though neglected this rule. Her poor feet were blistered and bloody by the end of the day. I think she said the shoes got so bloody that she might throw them away. Ew… and poor shoes!! Such a waste. I can’t express how much it helped that we went early. The older I get, the less patience I have for crowds. I knew going into this that there would be crazy crowds, but since we got there early we got decent parking and walked to the racetrack without feeling like herded cattle. Worst thing ever. Especially in the hot summer sun. 4. Enter the Hat contest next time. Why not? YOLO. I’ve got a whole year to plan something crazy and unique to blow the competition out of the water! Or, I could just enter for poops and giggles. 5. Don’t just bet on the horses with pretty names. You’re chances of winning are slim to none. i love your post. It gives me the feeling of wanting to be there but yet in a much better way because of the wonderful tips, advice, ideas that you share. You and your sister look lovely. Thank you! Glad you enjoyed!! Hope to see you at the next Opening Day Race! Thank you Tita Loi! Next time you have to come!